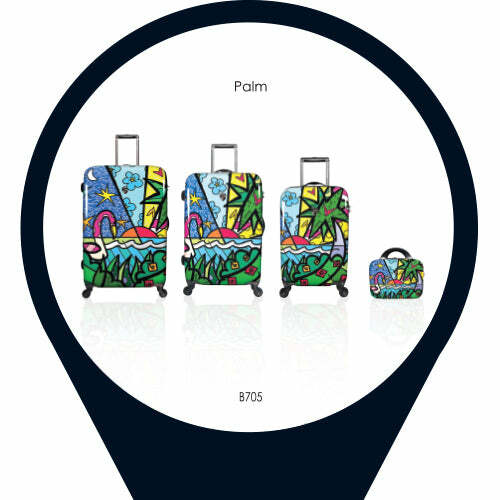 Home / ALL / hardside-luggage / tsa-friendly-lock / fashion / checked-large-size / 200-300 / Britto - Palm 30"
Britto by Heys - Palm 30"
Britto’s Palm Spinners are part of a Limited Edition Series of luggage. Born in Brazil, Romero Britto is a Florida-based neo-pop artist, painter, serigrapher, and sculptor. 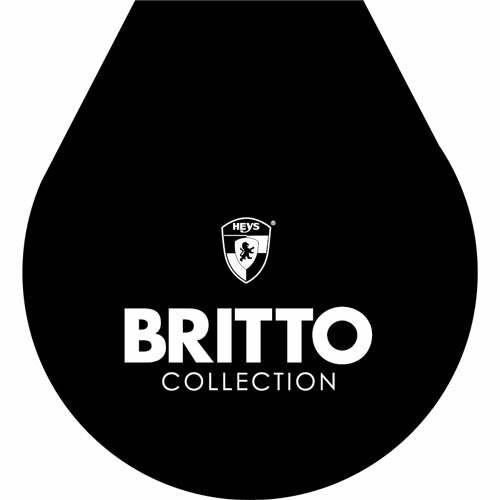 Combining elements of pop art and graffiti painting, Britto’s signature style is recognized worldwide. The Britto Palm Spinners are sure to turn heads with their prismatic and joyful designs, bringing luggage to a new dimension. The vibrant luggage prints are protected by a layer of clear coat which also gives it a beautiful glossy shine. As with all Heys luggage, the Britto Palm Spinners are incredibly lightweight, and feel even lighter when you roll them on their ultra-smooth 360 degree spinner wheels. This four wheel spinner system spreads the weight evenly allowing for effortless rolling in different terrains. The 30" piece also come with a built-in TSA lock. When opened, the Britto Palm Spinners reveal their inner beauty with a fully lined interior and buckled divider with mesh pocket.